The onset of the currency wars has commenced. All around the world, nations are lowering the value of their money. First Japan, followed by the United States and the United Kingdom have all engaged in quantitative easing (QE) and the lowering of interest rates to historic lows. 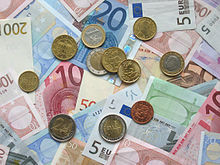 In the last two weeks the Euro plunged in value against the dollar to a 11 year low with the onset of QE there, after first lowering the rates of interest to negative levels in a key benchmark. Then in response, interest rates are being cut elsewhere in Europe, in countries outside the Euro-zone, to Canada, Singapore and now even China. China is undergoing a major slowdown in it’s domestic economy. At 7.4% in 2014, growth in China is expanding at the slowest rate in 24 years. As the Chinese move to push the value of their currency to a 7 month low, the Central Bank is hoping a lower valued yuan will help turn around a declining export market. The United States dollar (USD) is at a 7 year high against the Japanese yen as a result of the expanding rate of QE, in that island nation. Japan is pulling out all the stops in a desperate attempt to engineer a return to growth, after years of economic stagnation and decline. The 19 nations in Europe that have adopted the Euro as their official currency, have announced their own plan of QE after years of lackluster growth and fears of deflation. The 1.4 trillion (1.27 trillion USD) operation which will last until at least September of 2016, will have the Central Bank there purchase government debt at a rate of 60 billion Euros a month. In Canada, prime interest rates are being cut from 3% to 2.85%. 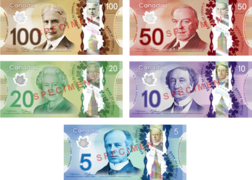 The Central Bank of Canada in response, cut the overnight rate of interest charged to other banks by 0.25% to 0.75%. Considering the latter rate is already below zero in Europe, it came as no surprise. The prediction is that the Canadians will reduce the overnight rate even further by an additional 0.25% to just 0.50%. The consequence of this is the expectation that the Canadian dollar will drop in value, to as low as 75 cents against the USD by 2016. In Denmark twice in the last month alone, the central bank moved to cut interest rates. The overnight deposit rate was cut another 15 basis points to the negative rate of -0.35%. The lending rate has been reduced to a mere 0.05%. These are both historic lows and are beginning to be nonsensical. The Danish feel the actions are necessary, to defend the value of the krone against the Euro. If Denmark had failed to take action they would have been forced to take the same action Switzerland did, earlier in the month. That is to abandon the peg of their currency to the Euro and allow their currency to appreciate. Although this might seem to be the better alternative, it would be devastating to the export market as domestic goods become more expensive overseas to purchase. India the third largest economy in Asia, unexpectedly cut rates two weeks ago in an unexpected move. Further rate cuts are anticipated for later this year. Not to be left out, Singapore has joined the game of lowering rates. The Singapore dollar as a result, has dropped to its lowest rate against the USD since 2010. Monetary officials there, took preemptive action, rather than wait for the regular April meeting for policy changes. All together 8 nations in addition to those countries in the Euro-zone have now taken action in the past month, to ease monetary policy to combat difficulties in their domestic economies and maintain market share in exports. It is only the beginning to what has become a global move to lower interest rates and ease monetary policy. Thailand for example, is temporarily resisting the move to lower rates and ease monetary policy, but it will more than likely take action later in the year. South Korea is also expected to move in the months ahead, as world events force changes in monetary policy there. The same can be said for Malaysia and a number of other countries in Asia. Policy analysts in Australia are on track for a rate cut there as well. Growth has slowed as demand from China has cooled. The economy is struggling with the mining sector in a state of recession. Iron ore the country’s biggest export, is now trading at a 5 year low. Even the Turkish lira tumbled in value, with expectations of a rate cut next month. It has now become a race to the bottom. Each round of rate cuts by one group of countries, leads to further cuts by the next group. Eventually as the international monetary situation becomes more unstable, the present game of devaluation will turn far uglier. It will soon become a real war involving currencies. Instead of politicians telling their constituents the truth, that much of what has been promised is not sustainable and therefore not affordable, they are instead attempting to use monetary policy instead. The time has arrived for citizens to hear the truth, of where government largess has led them financially. The present instability in the world economy, is the result of years of deficit spending and debt accumulation. 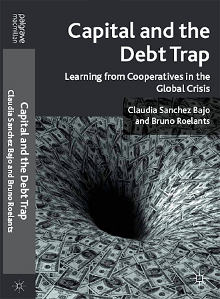 Consumers and governments around the world, have racked up levels of debt that are destroying the very foundations of a free market economy. Rather than embark on a policy of austerity to deal with the rising levels of debt and unsustainable expenditures, governments have instead turned to QE and devaluation as a way to maintain the present system for a while longer. In the end it will fail to bring back economic growth and prosperity. It will just destroy investor and consumer confidence in each of their domestic currencies. As people begin to lose the trust in the financial system and those people who run these institutions, a fiscal and monetary calamity will soon result. For the scheme to continue on a global scale, people will need to continue to have faith and trust in the present system, which is now become a proverbial house of cards. At present, investors will see ever greater swings and gyrations in the financial, stock and equity markets. Capital will circle the globe in search of profitability and more importantly, safety. This partly explains the temporary strength of the United States Dollar. It will not last. Even the most optimistic analysts are finally beginning to acknowledge, that the present course is just not sustainable. If so, please join over 50,000 people who receive exclusive weekly day trading and investing tips, and get a FREE COPY of our guide to day trading, to realize the 3 Secrets to becoming a successful trader. Click the red button below! Be sure to enter your email below to get Free Instant Access to the in depth 3 insider secrets of becoming a professional day trader. Over 50,000 people have used this invaluable insider information to save thousands of dollars to get started day trading. Colombia: The Civil War At An End? India: Turning The Corner On Investment And Economic Reform? United States 2016 Presidential Election: Plans For Economic Growth? 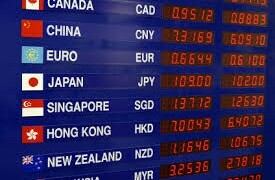 Check our sister site about day trading and traveling around the world. More than 51,428 incredible people have started their path to financial freedom with us - you can too. It's nice to meet you! Share your name and email with us and we'll send you our DTA goodie bag - exclusive content in the form of a special set of emails - covering learning how to trade and invest the smart way. Enter your email below and we'll send it right away! Performance disclosure. HYPOTHETICAL PERFORMANCE RESULTS HAVE MANY INHERENT LIMITATIONS, SOME OF WHICH ARE DESCRIBED BELOW. NO REPRESENTATION IS BEING MADE THAT ANY ACCOUNT WILL OR IS LIKELY TO ACHIEVE PROFITS OR LOSSES SIMILAR TO THOSE SHOWN; IN FACT, THERE ARE FREQUENTLY SHARP DIFFERENCES BETWEEN HYPOTHETICAL PERFORMANCE RESULTS AND THE ACTUAL RESULTS SUBSEQUENTLY ACHIEVED BY ANY PARTICULAR TRADING PROGRAM. ONE OF THE LIMITATIONS OF HYPOTHETICAL PERFORMANCE RESULTS IS THAT THEY ARE GENERALLY PREPARED WITH THE BENEFIT OF HINDSIGHT. IN ADDITION, HYPOTHETICAL TRADING DOES NOT INVOLVE FINANCIAL RISK, AND NO HYPOTHETICAL TRADING RECORD CAN COMPLETELY ACCOUNT FOR THE IMPACT OF FINANCIAL RISK OF ACTUAL TRADING. FOR EXAMPLE, THE ABILITY TO WITHSTAND LOSSES OR TO ADHERE TO A PARTICULAR TRADING PROGRAM IN SPITE OF TRADING LOSSES ARE MATERIAL POINTS WHICH CAN ALSO ADVERSELY AFFECT ACTUAL TRADING RESULTS. THERE ARE NUMEROUS OTHER FACTORS RELATED TO THE MARKETS IN GENERAL OR TO THE IMPLEMENTATION OF ANY SPECIFIC TRADING PROGRAM WHICH CANNOT BE FULLY ACCOUNTED FOR IN THE PREPARATION OF HYPOTHETICAL PERFORMANCE RESULTS AND ALL WHICH CAN ADVERSELY AFFECT TRADING RESULTS.